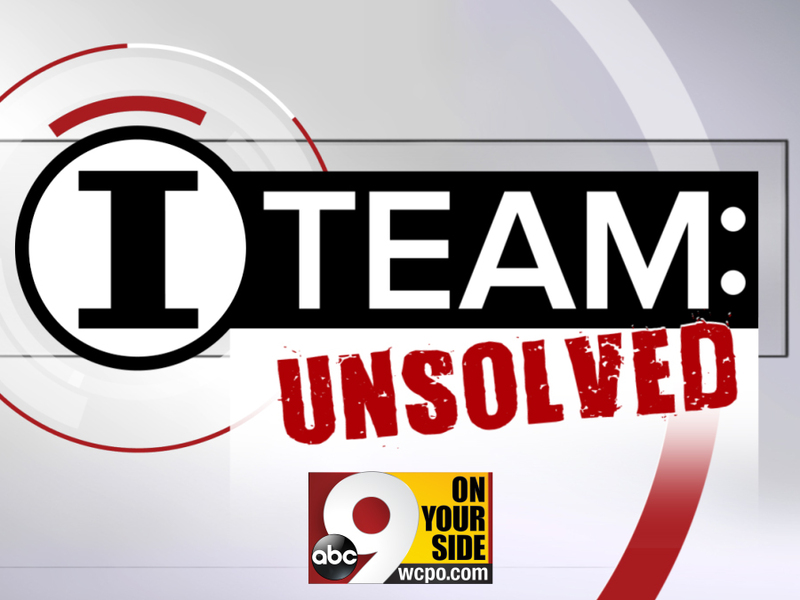 In our I-Team Unsolved series, WCPO will examine homicide cold cases in Greater Cincinnati. CINCINNATI – Ten years later, Hope Dudley is hoping a deck of cards and a decade of a grieving mother’s devotion will lead police to her son’s killer -- and the killers in dozens of other unsolved murders she has worked to bring to justice. “Three years ago, I had to have a pacemaker. My heart just kind of ran out. I’m moving, but I’m moving slow,” Dudley told WCPO this week. Her determination, though, is as strong as ever. “I get strength from working, helping other people with things I never had 10 years ago, constantly putting out information about my son’s case,” she said. The new detective working her son’s case told WCPO that finding the killer depends on finding witnesses willing to testify. Hundreds of people whose sons and daughters, brothers and sisters have been killed in unsolved homicides know Hope Dudley. Not only is she one of them, she is the face for their cause – the Hope behind their hope. Dudley turned her grief from her son’s drive-by shooting in 2007 into a mission to help other families and stand up to the violence that has taken over many of our streets and neighborhoods. She started UCanSpeakForMe , a group that does just that – and has received acclaim from former President Barack Obama, Ohio Attorney Mike DeWine and Tri-State police chiefs and sheriffs – even the rank and file officers. PHOTOS: UCanSpeakForMe goes into the community. Dudley was preparing to drive her daughter to her new home in Atlanta when she got the dreaded phone call at about 4 a.m. Her son, Daniel “Chaz” Dudley, had been shot and killed while riding in a car in Hartwell. The 26-year-old father of five was not the intended victim, Ballman said. “Mr. Dudley was associated with an individual that was heavily involved in the drug trade and doing drug robberies, and the belief is that night he was at Club Ritz with this individual and the people were in the lot waiting for them to leave and followed them,” Ballman said. Dudley, in the front passenger seat, was hit several times. A man in the back seat was struck twice, Ballman said. “Basically, this was a beef about ongoing drug robberies,” Ballman said. Dudley doesn’t make excuses for her son. After he was killed, she put her grief to work. She put up flyers and posters, hoping someone with information would call. She made bookmarks with victims’ photos from other unsolved murders and distributed them in jails. She wrote letters, organized other victims’ families – all out of her house. She founded UCanSpeakForMe - not only as a clearinghouse for tips – but to speak up for victims and help other families through their grief, guiding them through dealings with police, the courts and the media, and getting counseling and other help from social agencies. She pleads with the public to cooperate with police in solving these cases. And she lobbied to get Club Ritz closed down. It was eventually shuttered and demolished. Impressed, law enforcement threw their support behind Dudley and her group. DeWine authorized victims’ assistance funding, and UCanSpeakForMe moved into an office in Springdale in 2012. UCanSpeakForMe holds community meetings, sends members to speak or pass out literature at community events and even held a series of summits at Xavier University to honor crime victims and advocates. One of the group’s most publicized ventures was the creation of a deck of cards – each with the photo and name of an unsolved murder victim. Dudley’s son is pictured on the five of hearts. Each card lists where the person was killed and a phone number for a tip line. GALLERY: See all of the cards. Dudley started distributing the decks in the Justice Center last year, hoping to tap inmates for information. “Conversation is the key ... The conversation starts with these cards,” said Major Charmaine McGuffey, commander of the jail and courts services. All the time Dudley spent advocating for victims and helping other families, she shared their pain. “You’re in the street and you’re advocating for everybody and you try to be this strong person, but inside you are torn up with grief,” Dudley said. The mother of five has memories of Daniel she holds dear. “He was more like me than anybody,” she said. Dudley was a barber for 40 years and said she gave her son a shave right before he was killed. She never even got to touch him when she saw his body in the emergency room. It was considered evidence, she said. All she could do was peek through the door. “He always had a mole under his chin. I knew every freckle in his face,” she said. "I just miss him ... so much,” she said, breaking into tears. “The last time he kissed me I can still feel it on my cheek. The words he said -- “I love you” -- I still hear that. But it doesn’t give me peace knowing that ... I want to know why ... Come forward. I have a forgiving spirit. I want to move past 2007. Sometimes I feel like I'm stuck right there because it's a piece that's missing that I don't have that I want, not only for myself, but for my grandchildren and my children. She said street violence has to stop, and people need to come forward with information about unsolved murders. “I don’t see how people can just hold that silence and watch people’s families suffer and hurt all the time and not come forward,” she said. “What kind of person does that? What’s on their mind that they feel like they don’t have to speak up when there’s a crime? Det. Ballman, who took over the Chaz Dudley case a few months ago, said he expects someone in prison will come forward eventually. Not because they grew a conscience, but because they grew tired of being locked up. “Everybody involved that’s going to know is kind of in the drug game or associated with those activities,” he said. There were either two or three people in the car that fired on Dudley, Ballman said. Two “persons of interest” are currently locked up on drug charges. That might give Hope Dudley’s heart some rest, but she’s not going to rest when other families are suffering. If you have information about this crime or any other, call Crime Stoppers at 513-352-3040. You don't have to give your name, and you may be eligible for a reward.